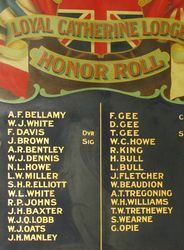 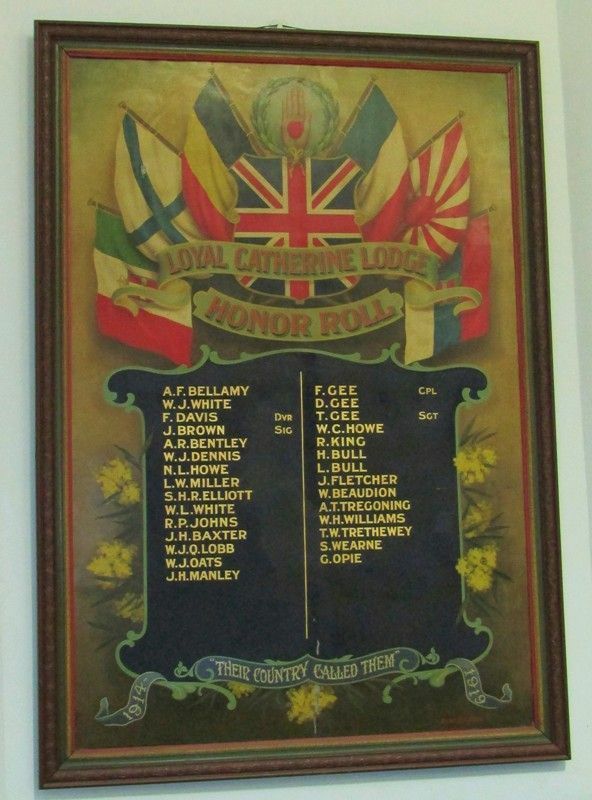 Artistically designed honour roll commemorates those from Loyal Catherine Lodge who enlisted in World War One. 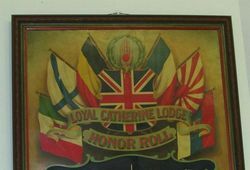 In the Oddfellows' Hall, Eaglehawk, Monday, an artistically-designed honor roll, the work of Mr. Berne Marcollo, on which were inscribed the names of members of the Loyal Catherine Lodge, M.U., who had enlisted for active service, was unveiled in the presence of a large number of members and visiting brethren from the various lodges in the district. 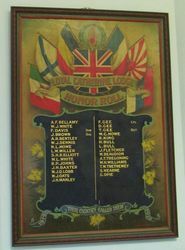 Bendigonian (Bendigo, Vic), 17 August 1916.